Featuring beautiful images and a lyrical text with an exquisitely readable cadence, this book gives life and meaning to all the requisite elements of a treehouse, from time, timber, and rafters to ropes of twisted twine that invite visitors to sprawl out on a limb and slide back down again. 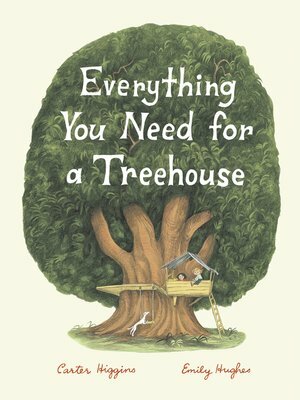 For anyone who's ever wanted to escape real life and live in a nostalgic dream come true, this poignant picture book captures the universal timelessness of treehouses and celebrates all the creativity and adventure they spark. Carter Higgins has worked as both a motion graphics designer and a librarian. She lives in Los Angeles, California.